National instruments such as the Cuatro are cultural artifacts which defines us to our very core. They are used to express ourselves and are present during bountiful times just as in moments of turmoil. In our not so distant past, the teachings of the Cuatro was severely restricted as it was limited to households and confined regions. The grandfather would teach the grand-son, the uncles would teach a couple of chords and the kids down the street would share songs they managed to play. This is how the teachings and the transmission of knowledge took place since the creation of the instrument. 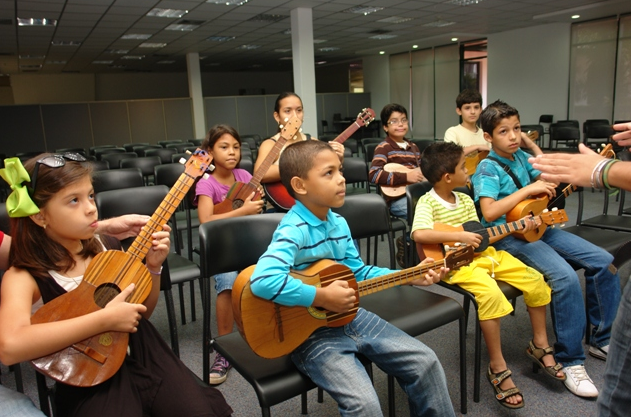 In recent history, the development of several Cuatristas (Cuatro players) started to complement the form in which the teachings would be conducted. 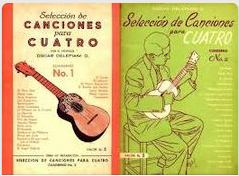 Learning manuals started to emerge where a variety of rhythms, chords and songs are interpreted & demonstrated. The Cuatro students would be those learning with little guidance or supervision, both of which are fundamental whenever learning how to play any musical instrument. Learning methods continued to evolve in the form of seminars, music schools with specific classes and individual / private instructors. The life of the Cuatro has been in a transitional period approximately a decade; this is not only in relation to the interpretation of the instrument, but also in terms of the teaching methodologies available to the public. The world we live in today is significantly different if we were to compare it to the times of Hernan Gamboa, Freddy Reina and Simon Diaz. 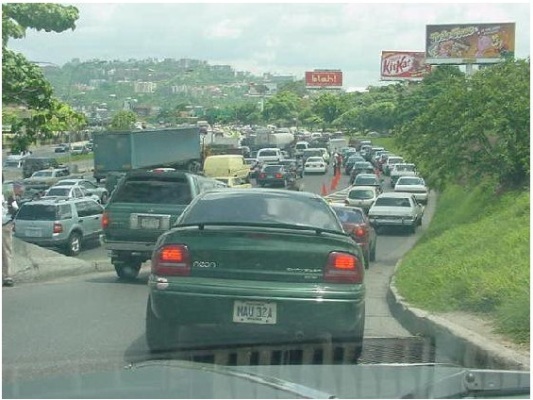 The dynamics of people’s lives within Venezuela have changed drastically and although there are more possibilities in terms of the teachings of the Cuatro simultaneously many barriers have come to existence. Ironically, it is because of these very same barriers as to why there are currently more opportunities to learn how the Cuatro is played. We are of course referring to the restrictions of the cuatrista of the future, the time in which it takes to get from the home to the classes, the risk one takes whilst travelling with a valuable item, and the amount of recreational time we have. For example, if a student would like to take a Cuatro class within the same city of Caracas, it may take the student up to 2 hours to reach the class. This is followed by the class itself of an hour to an hour and a half, followed by another 2 hours to return home. Aside from this, the cost of such classes can be a significant portion of the monthly salary the students have at their disposal. So not only would they need to sacrifice up to 5 hours of their time, but it is also something which may strain them financially. Each and every one of these aspects has had its impact on the evolution of the teachings of the Cuatro. Along with this, there is one more element which has not been mentioned being the extent to which the instrument is crossing borders and internationalizing itself. The first videos related to the teachings of the Cuatro appeared on YouTube approximately 6 years ago. From that moment, there has been an explosion of videos relating to the Cuatro, not necessarily relating to the teachings of the Cuatro, but general videos relating to the instrument itself. Currently, there are more than 53,000 videos of the Cuatro on the internet which demonstrates the amount of people who have set themselves aside as persons who are interested in sharing their experiences with the cuatro with the world. We have persons on each continent playing and sharing their experience and progress. This is a historic development, as now instead of it being the kid on the corner teaching some songs; it is a kid halfway across the globe! Just as in the history of the Cuatro when the teaching methods became more formalized and organized, the same phenomenon happened online. The teachings of the Cuatro online have taken several forms, being distance learning using exclusive manuals in conjunction with videos, such as has been done by Pedro Borrero with his numerical system manual. Instructors are no longer confined to a single location as they begin to give classes through Skype or Google Hangouts. The most recent development is the presence of online platforms whereby students can learn songs as well as complete online classes. The pioneers with the online teachings are organizations of Micuatro.com and TuCuatro. Micuatro offers a vast list of chords for popular songs and TuCuatro offers complete Cuatro courses online. Founded by cuatrista Adrian Toro in collaboration with e-learning specialist Adriaan Moya, TuCuatro has become the most extensive online Cuatro portal in the world. This platform removes many previously mentioned barriers. The courses allow for students to learn how to play Cuatro in a structured way, it permits the interaction between students, and even offers opportunities to source the instruments themselves. The Cuatro class of tomorrow is not one for which students need to travel for hours on end and place strains on their finances, but one which is affordable and can be followed from home. The extraordinary element of e-learning portals and institutions such as TuCuatro, Micuatro and even YouTube we will ensure that the teachings of the instrument will be present, potentially forever. There is no risk of a skill originating from the lowlands of the northern areas of Latin America to disappear and this element of cultural heritage can be maintained. This is not only referring to the teachings of the instrument, but also to the music which it portrays. The most important aspect is the well establishment of the online footprint when it comes to the Cuatro and that it will be present for future generations to enjoy.